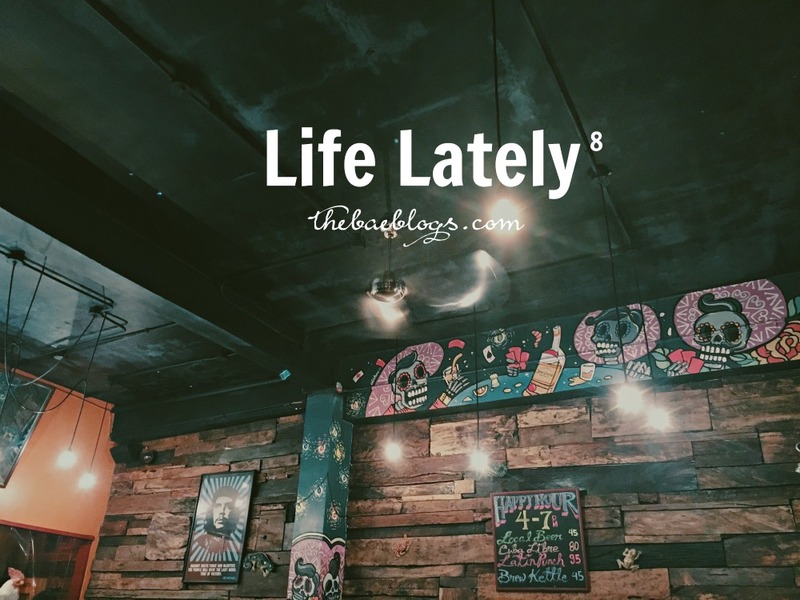 I have been pondering whether or not to do a Life Lately blog post because I’m not sure if I’m ready to reveal what’s been happening in my life lately. I know I’ve been active on Snapchat (username: bpcmilanes), but that only shows all the fun and mundane stuff. Deep inside, I’m fighting against my demons. 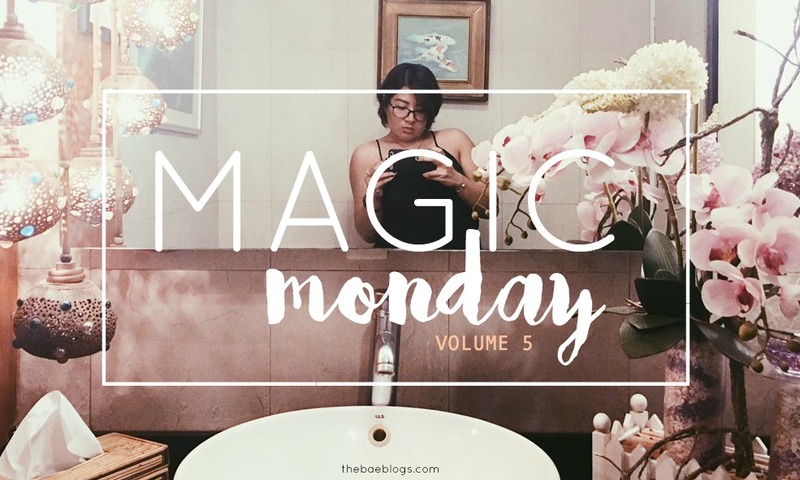 However, I realized that it’s not going to help trying to keep everything inside – my thoughts, opinions, and whatnot – and one way or another I would need an outlet. 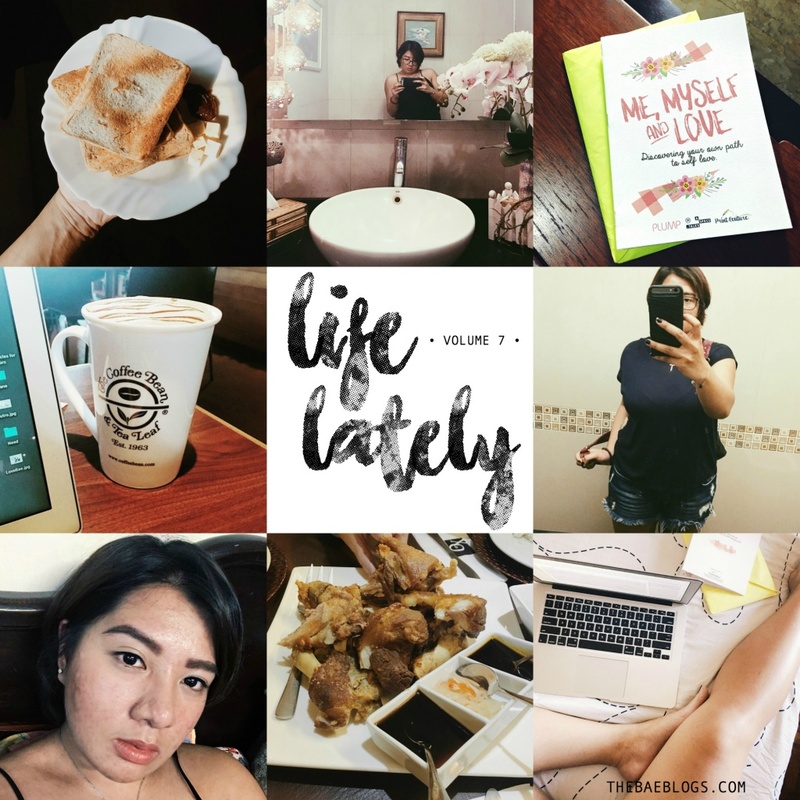 It’s ironic to say that blogging about the personal events in my life makes me uncomfortable because, well, this is my personal blog, and I somehow feel responsible for updating my readers on what’s been going on with me lately. 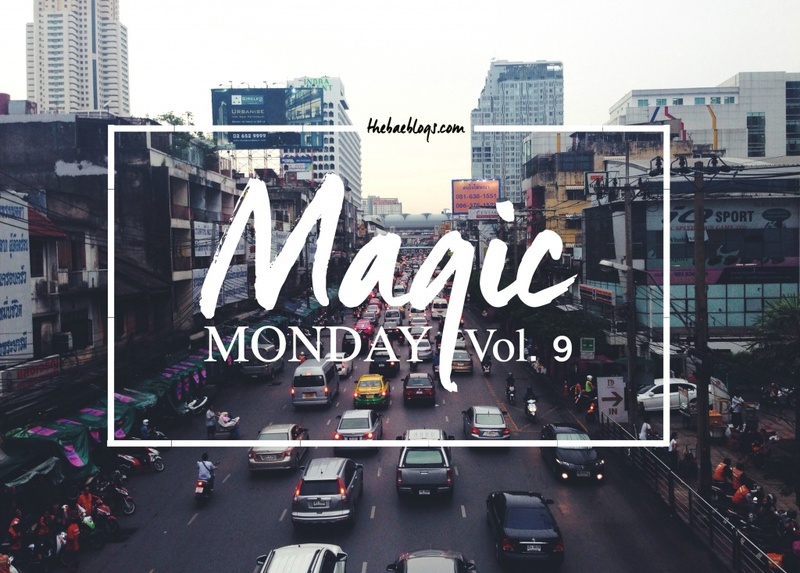 I’ve also realized that I’m starting to embrace listicle type of blog posts and I may have some life hacks to share with you all, but writing from the heart is such a different take. Being that said, I will ditch the lists and just talk in paragraphs. I know it’s not my obligation to tell the whole world why Shane and I broke up, but for clarity and transparency, yes, we’re over. I’ve also already removed all my blog posts and categories about him so people won’t assume that we’re still together. The first week following that break-up was extremely difficult for me and I found myself watching sappy movies or animated films on HBO or Star Movies and working as early as 8 o’clock in the morning (my work clocks in at 9 A.M.) just so I could distract myself. That, or I would pretend everything was but a really bad dream, so I’d try to sleep it off and wake up after 2 hours just 30 minutes before I start working only feeling worse. It’s either I would try to see the light in this difficult situation or cry out of the blue every now and then. It was harder for me because I felt nobody really understood my pain, and even if some did, I had no one. I got panic attacks that scared me to death because I didn’t know how to continue with life anymore. Everything was such a blur, I didn’t care about how I looked, I lost my appetite, I felt everything was pointless, the things that used to make me happy didn’t, and I just wanted to sleep for weeks on end since I didn’t know how to handle my days. It was the time I craved for God’s love and comfort the most. But now I’m going through this phase where I’m angry about almost everything, including God, and I get irritated easily. Frankly, I hate how I’m being this person because I know I am not this. I don’t want to hate God but I am doing exactly that, and the fact that I’m starting to question everything and going back to finding fulfillment with material things is making me uncomfortable. I feel way better now than before but that’s also because I’m doing my best to cope. It honestly felt like a part of me died and I didn’t know how to face each new day. I felt so lost and confused, hurt and betrayed. Now I’m trying to put my life back together. It’s hard but life goes on and I can’t be left behind. I refuse to be. On to the less dramatic things in my life, I started getting bored with just reading articles off of the Internet and interpreting them by myself and directly typing them down in MS Word. The thing with this is, if I don’t understand something, I don’t produce anything. So I switched up my strategy and went back old school. I tried jotting down some pointers on my notebook first before compiling everything and compressing them into one article. Surprisingly, I found myself producing better articles. It worked for me so I tried it again the next day. I think I’ll stick with this method for now. 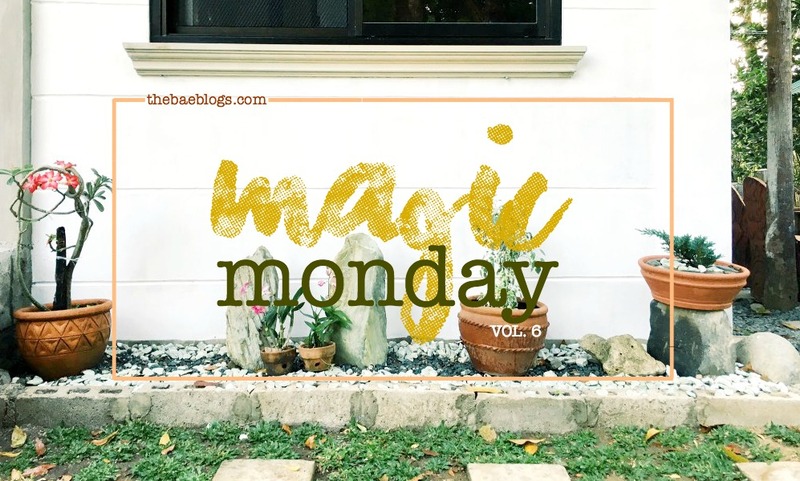 To be honest, the Holy Week holiday was just timely as I’ve been feeling overwhelmed with work lately, and it’s about time that I spend my time on other things like Netflix and blogging. LOL. Excuses. On the other hand, it feels weird because the more I recall having work to do, and I’m very grateful, the more demotivated I feel to write. I have ugly writing insecurities and this has to stop soon. I have to stop putting myself down and just focus on what I have to do. After all, I chose this, right? I went back to the gym recently and I honestly missed the adrenaline rush that comes from working out. I’ve also been seeing a lot of new faces lately. I paid for one month and here’s to hoping that I maximize it. PS, I hate when I get so hungry all the time when I start working out again because I feel it’s pointless. I workout because I like to eat. And, also because I burn a lot of calories when I hit the gym. Thanks, strength training! I’m so happy that I can finally tie my hair up a bit and I can’t wait to try Azta Urban Salon’s services to have my hair fixed. I won a hair makeover there from a women’s conference I attended last month, and my hair basically looks confused right now and it needs some help. Maybe after I get a trim, I’ll just grow out my hair. To be honest, though, I miss sporting a ponytail. 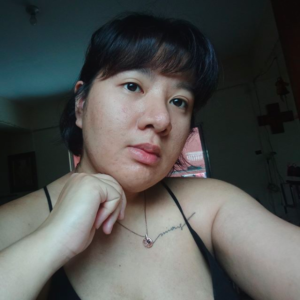 Short hair is cute, but cuteness is not going to save me when I look like a drenched duck in this extremely hot weather. Okay, too much information. Moving on. 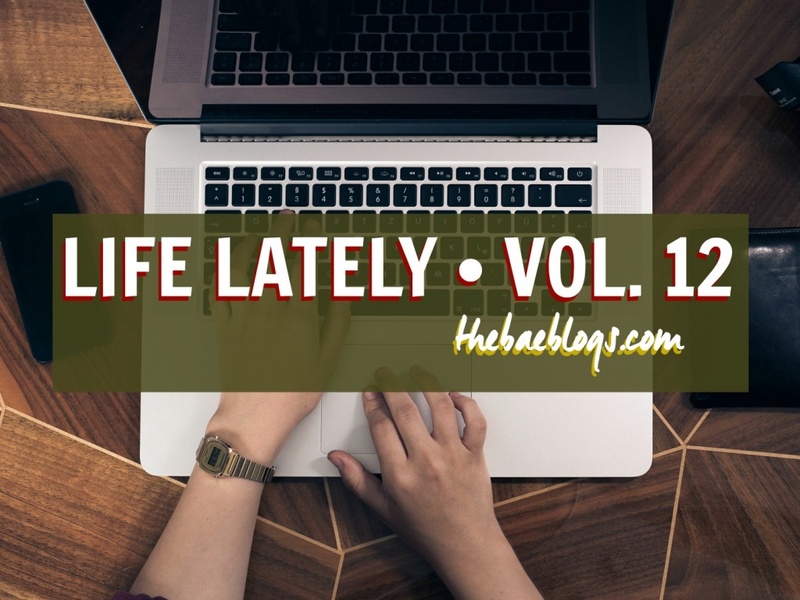 I’m back to blogging since that break-up (I’ll have you know that all positivity and passion went straight out the window and into the streets after that nightmare of a break-up, so I went on a blogging hiatus) so that means I have at least 1 blogging idea each day. It’s already been about two weeks. Just imagine that. I currently have a blog post in my drafts (it’s too good to reveal) and I’m going to finish it when I’m already in the right mood. It’s a bit lengthy and I can be unnecessarily talkative so I’m putting it aside for now to write shorter posts. If you’re wondering, yes, I consider this short. Heh. I haven’t really been watching Netflix since I finished OITNB (Orange is the New Black) and because I’m not really a big movie watcher, but I got hooked on it again because watching sappy movies actually help me move on. I’m currently on the 9th episode of Love and I’m starting to hate Mickey and Gus for always clashing against each other. I don’t think I’m waiting for Season 2, should they push through with it. Meanwhile, a local channel is making a local version of Jane the Virgin and I just cringed when I saw it. Ugh. Is it just me or it feels like we’re actually a few kilometers away from the sun? The heat is downright very irritating. I don’t understand how some people can still wear thick clothes out (Are you high, really. Fashion bloggers, just stop). I can guarantee you I can sweat buckets just standing outside our house for 5 minutes. It also doesn’t help that I work from home. But then, I also can’t afford going to a coffee shop every single day to work. I guess I was just never fond of the heat. This is also the main reason I only learned to cook a couple of years ago – I. Hate. Fire. My main point is it’s so hot, it makes me want to hurt someone. Okay, too morbid. I’m not sure if I fulfilled a Life Lately blog post, but I guess this gives you an inkling of what I’ve been busy with lately. What about you, how was your week so far? Any life updates you’d like to share? Don’t hesitate to leave a comment below or hit me up on my socials. Links are in the sidebar, you know where to follow me. Btw; fellow Angelican! Same batch as your brother haha!